SUPERTALENT WAS SHOWING off a bunch of new products at CES, some of which are on the market, others not. The lineup had something for everyone, from sub-$20 USB3 drives to high end RAID cards. The first one we saw was the highest end product, the RAIDDrive R2S. This has nothing to do with the older USB3 RAIDDrives, the new one is a PCIe 8x card. There was an older version of the PCIe RAIDDrive shown off here and there, but that was canceled, replaced with a new less expensive model that lacks the metal case and fan. 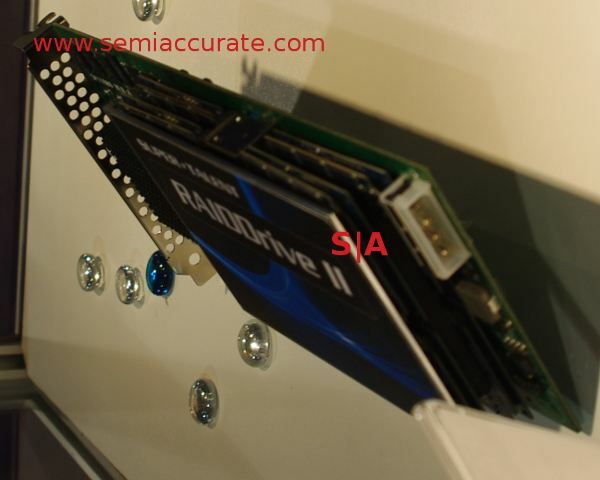 Internally, the drive is simply 8 SSDs with Sandforce controllers, all connected through a full blown RAID card. Officially the card will hit 230K IOPS, more than good enough for casual home use. Or enterprise loads. Or anything in between. From there, things went back to the consumer space with two new products, the StoragePod and the StoragePod Mini. They are both external USB HDs, the Mini has a USB3 SSD inside while the bigger one is a magnetic drive. A 2.5″ magnetic HD won’t max a USB2 connection, so USB3 was probably left out to lower the price. USB3 external SSDs are looking to be quite the geek ‘in’ gift this spring. SuperTalent has been pushing the bounds of how low a USB3 flash drive can go, and they managed to drive more cost out of them once again. How low can they go? How about under $20 for an 8GB USB3 memory stick. If that seems like a lot, don’t worry, you will probably find them for under $15 retail if you look. They aren’t the prettiest things out there, very plain, and they lack caching, but will push 67MBps for next less money than many USB2 sticks. How can you go wrong with one of these? 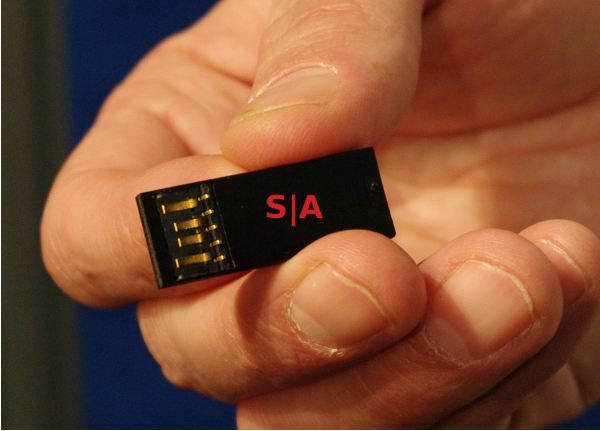 As is all the rage recently, SuperTalent now has an encrypted memory stick called the DataGuardian. 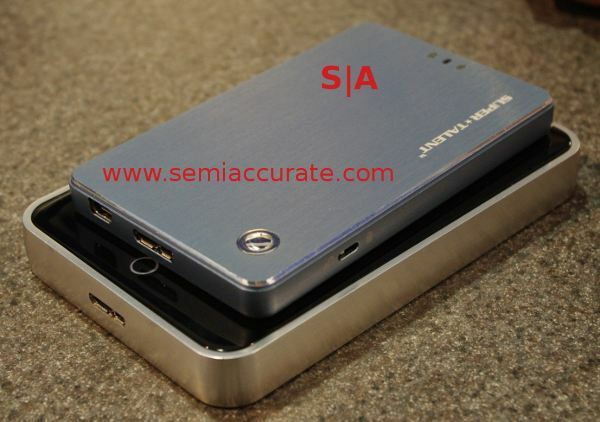 The encryption is all hardware based, so no drivers and no easily bypassing the security. They range from 4-16GB, are USB2 based, and are available now.